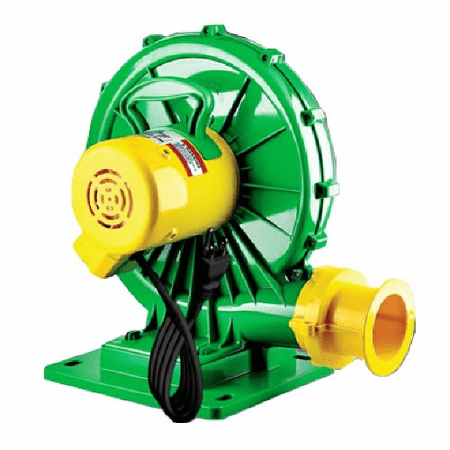 This 1/2 hp blower is perfect for any midsized inflatable. Strong enough to blow up a 30' gorilla. Very quiet, good for mid-sized custom inflatables, mid to large balloons.